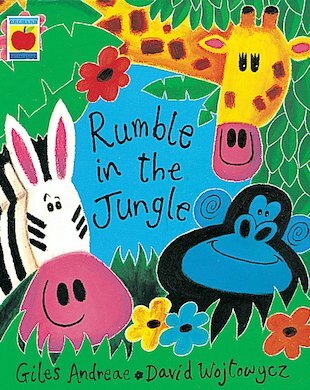 There’s a rumble in the jungle. There’s a whisper in the trees. The animals are waking up. Come and join them, please! This rollicking book of rhymes from a bestselling team takes you into a jungle world full of strange creatures who slither, stomp, munch and roar. Get reading, get rhyming and get wild with these crazy critters. Prepare to laugh out loud – and make a lot of noise!